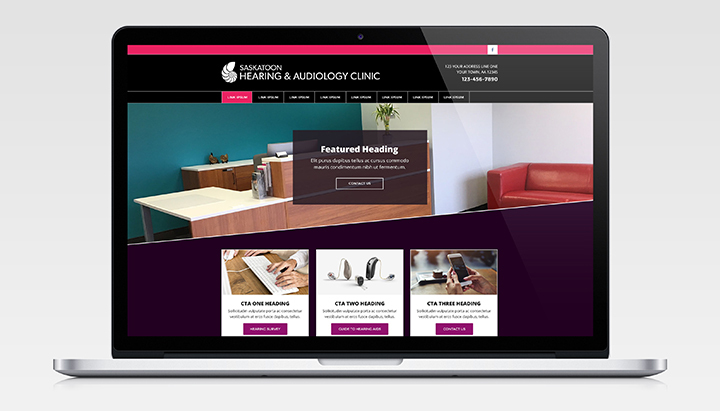 Saskatoon Hearing and Audiology is a brand new clinic that came to us in preparation of opening their doors. They were looking to build their digital foundation, establish their online reputation and generate quality leads from their website. When efforts to build a website on their own became cumbersome, they turned to our team of experts us to quickly build a modern, responsive website that reflects the cheery and bright personality of the staff and showcases their advanced technology offerings.